This was my latest quick creation. I decided to try out publishing to the Chrome Web Store. The store lets you publish free or paid apps that users can add to Chrome. The only catch is a small developers fee which I really didn't mind. 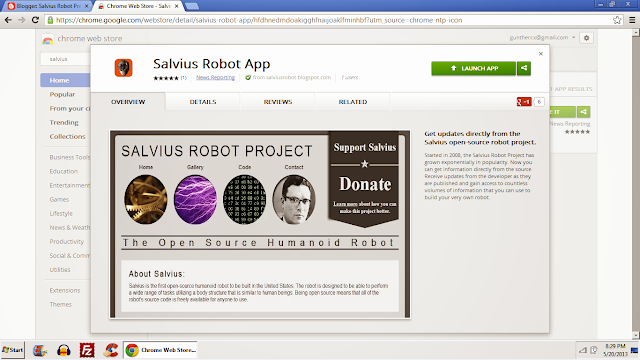 At the moment the "Salvius Robot App" is simply a link to this site (similar to how the gmail, blogger, or many other apps are). 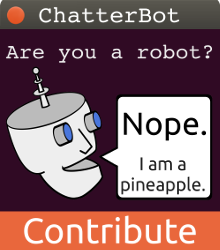 Eventually I would like to incorporate more features into the app. I have an idea for a few robotics tools that may be useful but until then, that's all folks! Cigarette Calculator and many more.